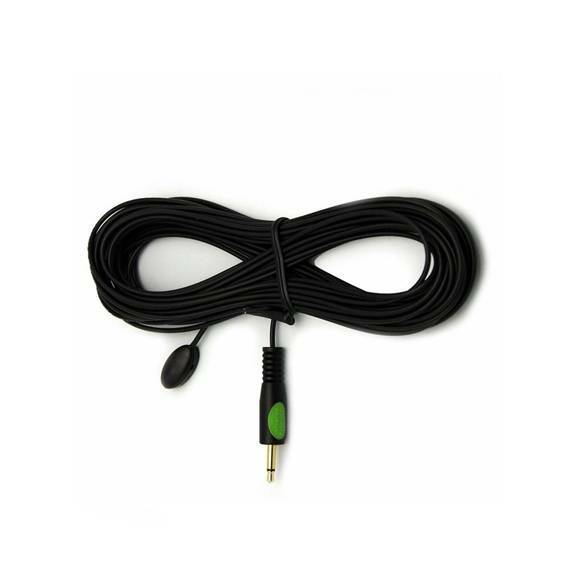 For use with IR devices, IR blocks, and media centers, this 25-ft single eye IR emitter cable is 30awg and more durable than other cables on the market. The visible emitter eye blinks red when emitter eye transmits the IR signal and the thicker cable allows you to place the cable under a device and directly on the device window without worrying that the cable will pinch or tear. Sturdy 3M adhesive ensures that the eye will stay put and the eye shell is designed to allow remote control IR signal easily to pass through. The unique color and shape of the eye also helps to deflect sunlight and other spectrums that can affect operation. Important Note! 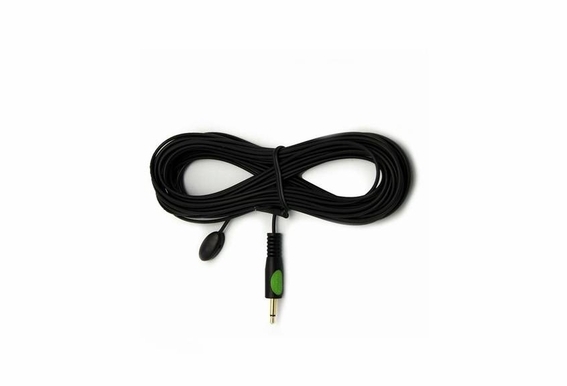 : This cable is an emitter and not a receiver. It will not work with cable boxes. Our IR emitters and IR extension cable are compatible with most IR devices and name brand IR blocks, media centers, TiVO, NextGen, etc. The device must have a 3.5mm nickel plated mono jack to plug the IR emitter into (usually marked IR OUT). It will not work for IR OUT on A/V receivers. SLingBox requires our 2.5mm to 3.5mm mono adapter.